We’re getting closer and closer to the Final Fantasy XIV Fan Fest in Las Vegas and we’re excited to announce that we’ll be attending what will no doubt be the best after party the community has ever seen. 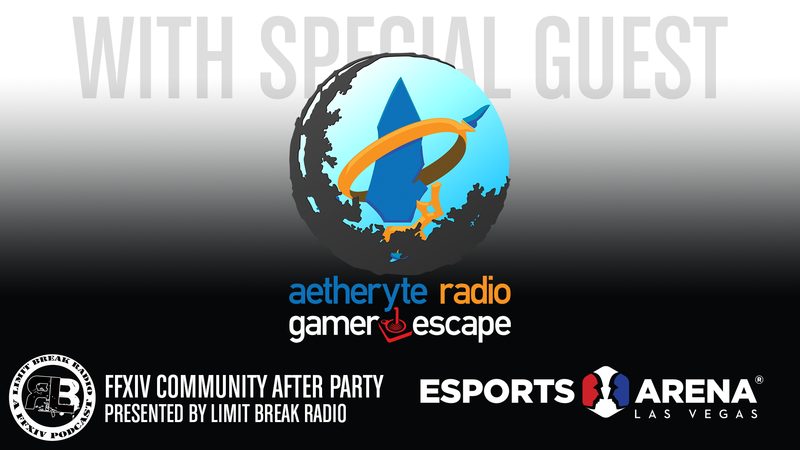 Come see members from Gamer Escape and our Aetheryte Radio podcast along other popular creators like Mr. Happy, Ethys, Nariko Star and more! There’s also going to be a Street Fighter V tournament hosted by Dancing Fighter that you can sign up for. Held at the Esports Arena in the Luxor, the downstairs level of the venue will be open to the public, however to guarantee access to the event, and to have the chance to mingle with some of the amazing guests and content creators attending the event, you must RSVP as a VIP by Monday, November 5th. By signing up for the $60 VIP package, you’ll be given access to the second floor of the venue, as well as access to the open bar. To read more information, as well as RSVP, please check out the following google form. We can’t wait to see you all out in Las Vegas!